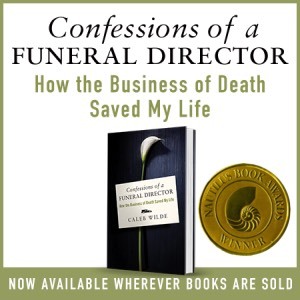 It’s rare that I share a funeral related story and include the deceased’s actual name. Except for my personal family, I almost always change the names of those involved for the sake of their privacy. I’m making an exception for Edith “Edie” Norton and Brian Wilson. The world goes around because there are people who give more than they take. Some of those people become well known, but most go about their lives unrecognized. Edie never received recognition for her life’s work, likely because her life’s work was focused on just one person. Brian Wilson had nonverbal autism and needed constant personal care. At one year of age, Brian’s parents knew they needed help raising him, so they hired Edie, a young woman with a bachelors degree in psychology. Because both of Brian’s parents worked demanding jobs, Edie was at Brian’s side 24/7. Her “job” wasn’t a 9 to 5, it was a life commitment, one that she honored until Brian died last year at the age of 33. A little over a year after Brian died, Edie passed away on November 2nd at the age of 69. I met with her siblings to make the funeral arrangements (Edie never married or had biological children of her own). 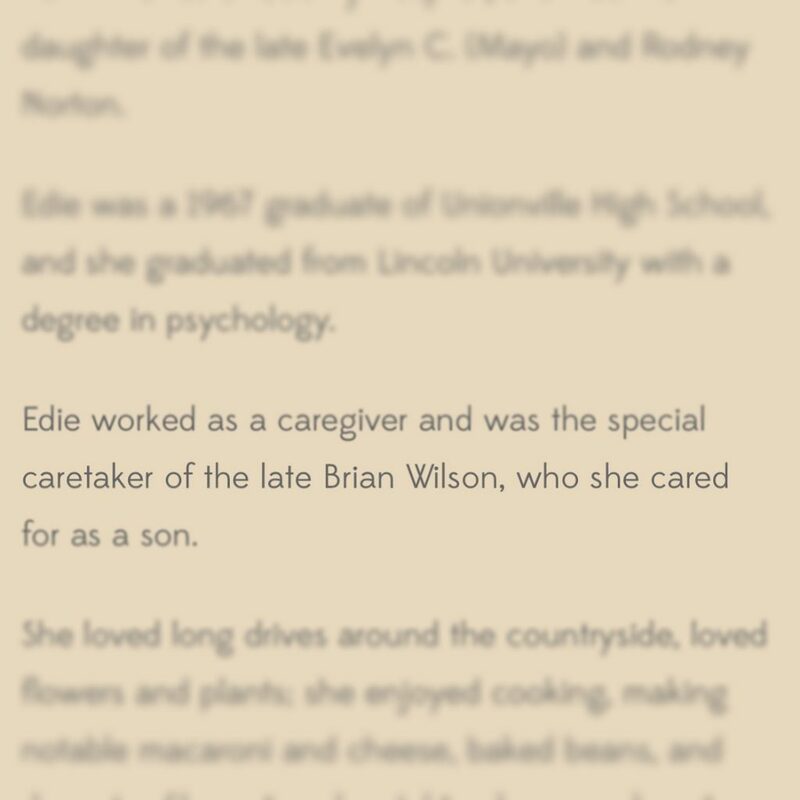 In the obituary, Edie’s family wanted it mentioned that she cared for Edie as a son. But Brian was more than a son, he was the center of her day, the center of her daily actions, her daily thoughts and her life. I want you to know about Brian and Edie. Edie life and death won’t be covered by the news, but she cared for someone who couldn’t care for himself. And although their lives were somewhat isolated, and although their names won’t be written in the annuals of human history, they did find the magic that makes the world go round. And I’d like for you to remember their names today. This entry was posted by Caleb Wilde on November 20, 2018 at 6:11 pm, and is filed under Dying Well. Follow any responses to this post through RSS 2.0.You can leave a response or trackback from your own site.